Gynecologic oncology takes a fresh look at a critical aspect of cancer treatment planning. An international team of authors reviews the traditional prognostic and predictive factors such as tumor grade, histologic subtype, and grade and then goes a step further to review the growing number of molecular discoveries that have increasing clinical significance. The book is organized into comprehensive sections on ovarian, endometrial and cervical cancer and includes up to date reviews, newly discovered molecular pathways, genetic markers, molecular imaging techniques, and their relevance to clinical medicine. 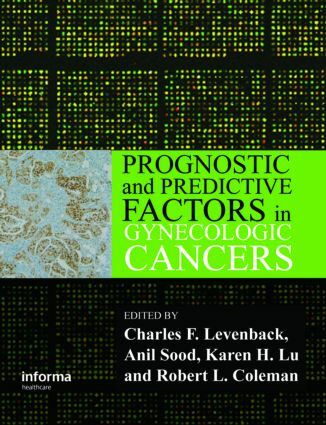 Prognostic and Predictive Factors in Gynecologic Oncology is illustrated with over 100 figures and is essential reading for oncologists, translational and basic scientists, as well as fellows, residents and students with a special interest in gynecologic oncology.